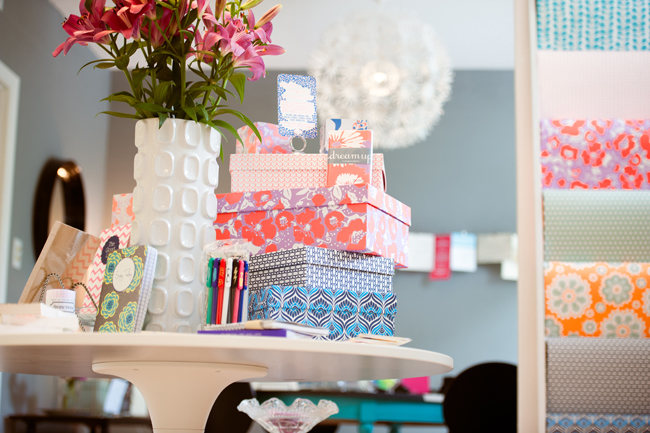 Amy Graham Stigler’s Monograham Paper Boutique Celebrates 2 Year Anniversary! 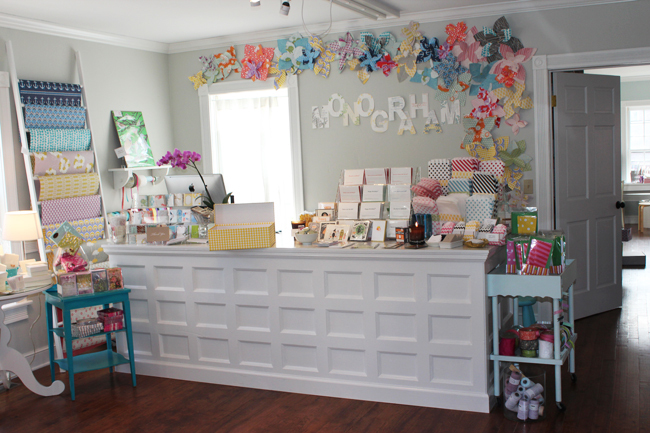 We’re sending lots of happy birthday wishes to Monograham Paper & Gifts as the shop turns two today! 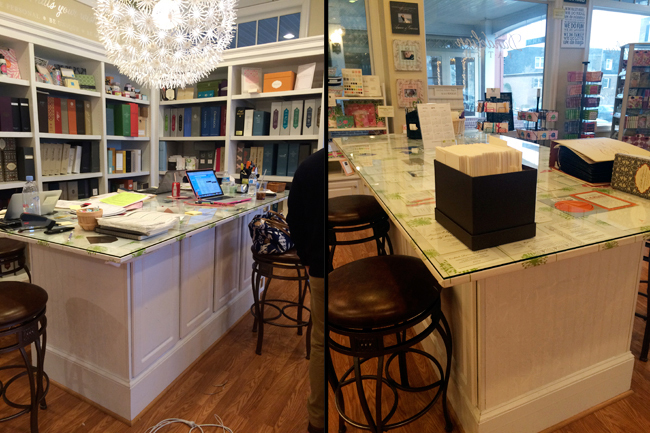 Monograham is a carefully curated paper and gift boutique owned by Smock’s Creative Director, Amy Graham Stigler, and located in the heart of historic downtown Delafield, Wisconsin. 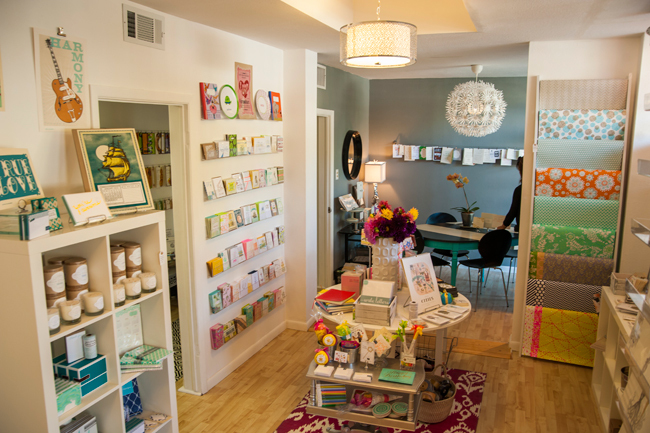 The shop offers a lovely selection of stationery and letterpress cards, soaps, perfume, jewelry, books, frames, and more from many small independent businesses. 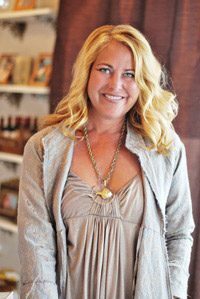 Amy sources both local and national artisans to offer an inspired, eclectic mix of handcrafted goods. 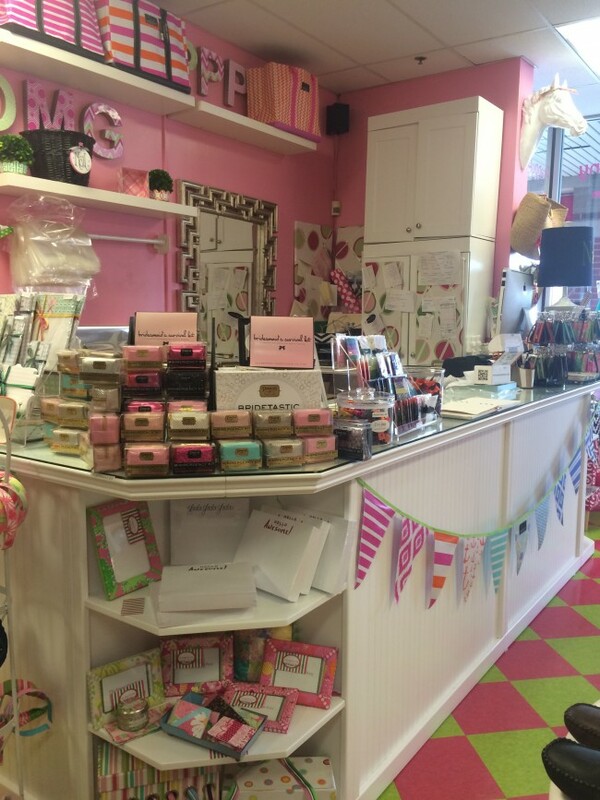 Here’s a peek inside Amy’s beautiful stationery boutique! 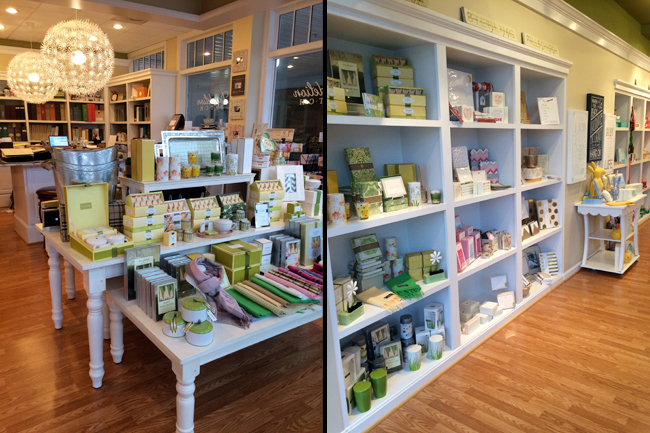 Today we’re celebrating from afar, but we hear there’s a party going on in Delafield! 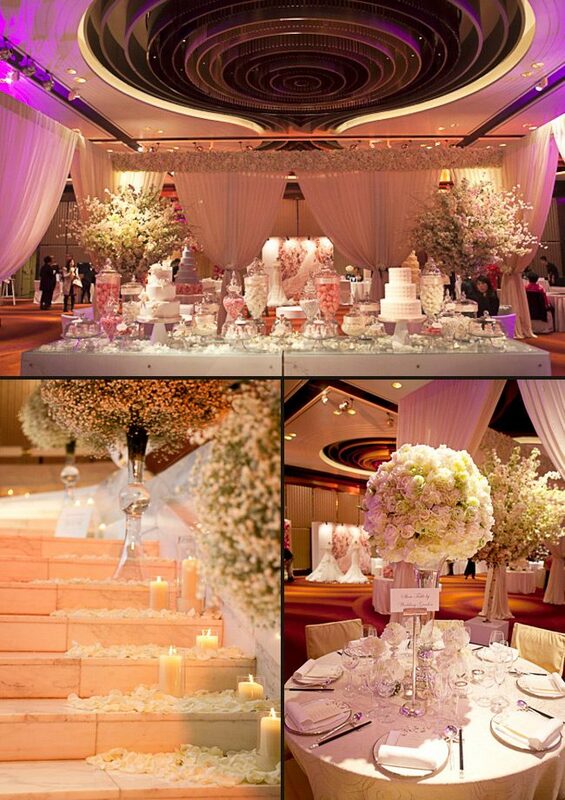 Here are a few photos from last year’s celebration — doesn’t the festive decor make you wish you were there!? If you’re in the area, be sure to stop by today for Monograham’s two year anniversary celebration! 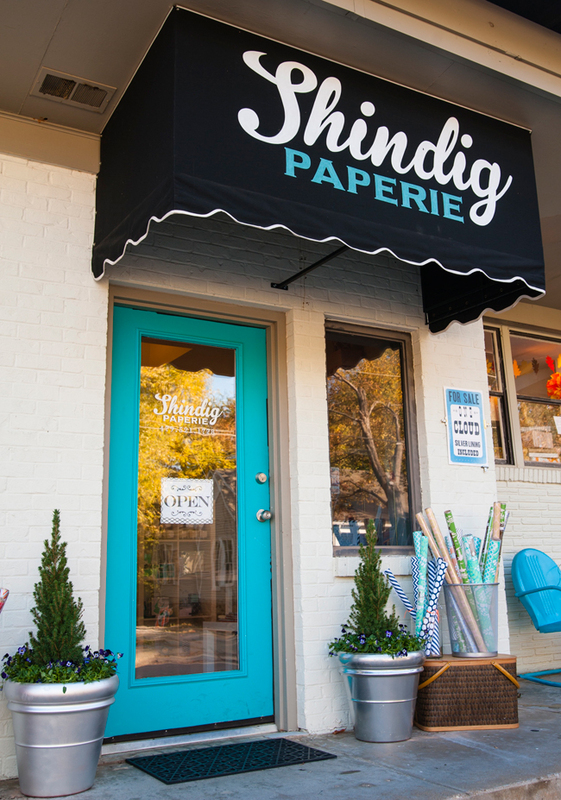 Trisha Logan, a paper and textile obsessed designer, and owner of Shindig Paperie in Fayetteville, Arkansas is joining us today with a spectacular spotlight on her charming storefront. 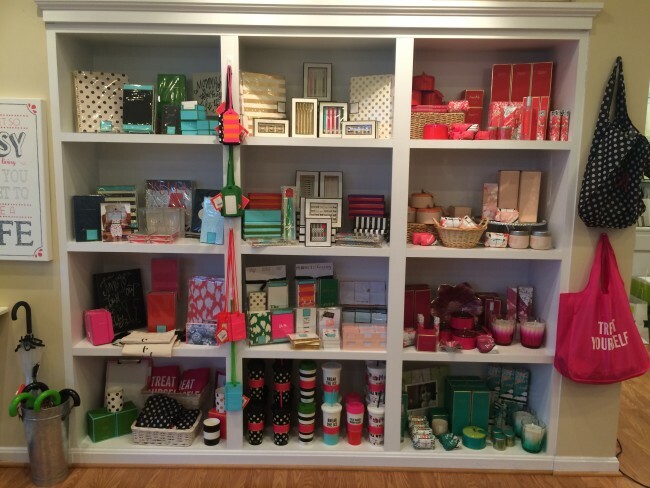 We love the way she incorporates Smock products throughout the shop — the pops of bright colors contrast beautifully next to crisp, clean whites. 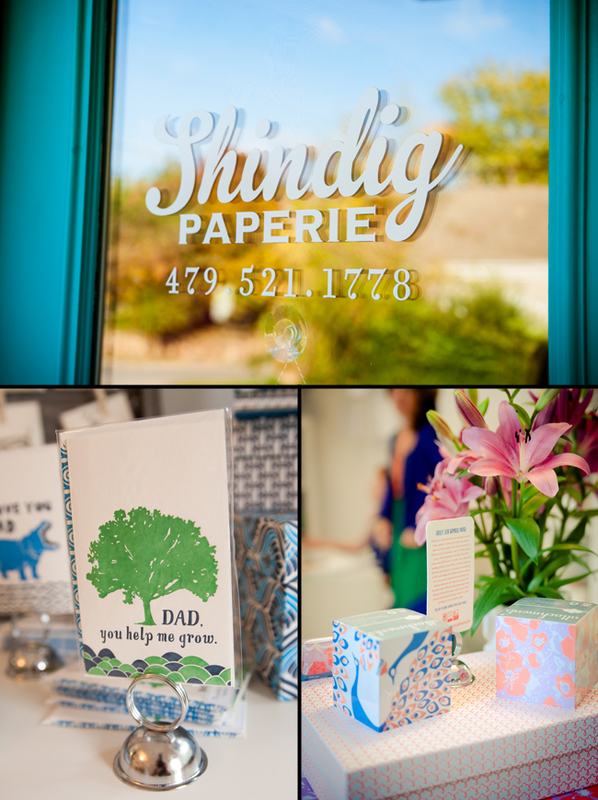 Behind the scenes of Shindig Paperie. My background is in textile and apparel design, but I’ve worked as the art director and designer for a large gift and paper line for 9 years. I saw so much beautiful product at trade shows and in my trend research. In addition, I’m very attached and connected to my quaint college town, Fayetteville. Eventually, over many late night conversations with my good friend Brooke, a former shop owner and sales rep, we decided to open a shop to bring some of these fabulous lines to our eclectic little downtown district. 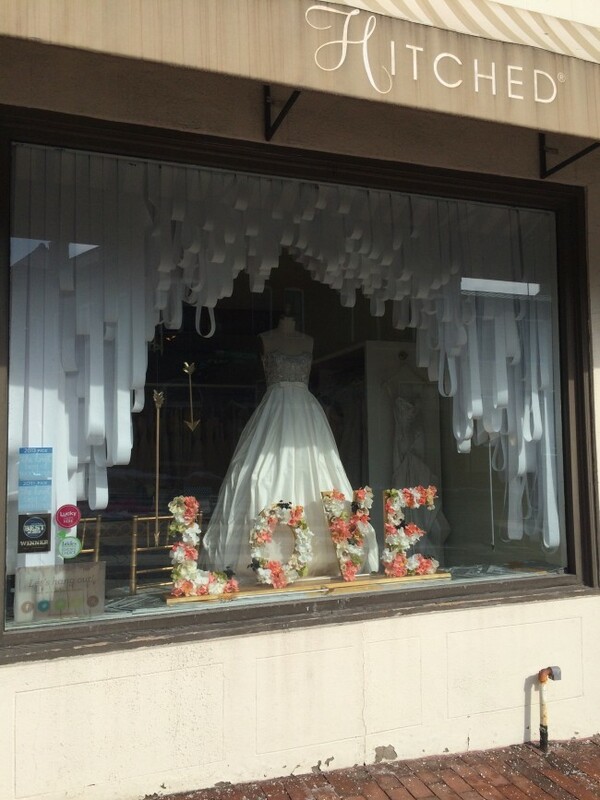 No similar concepts for a store existed in the area, and many local brides were frustrated by the lack of great paper here. 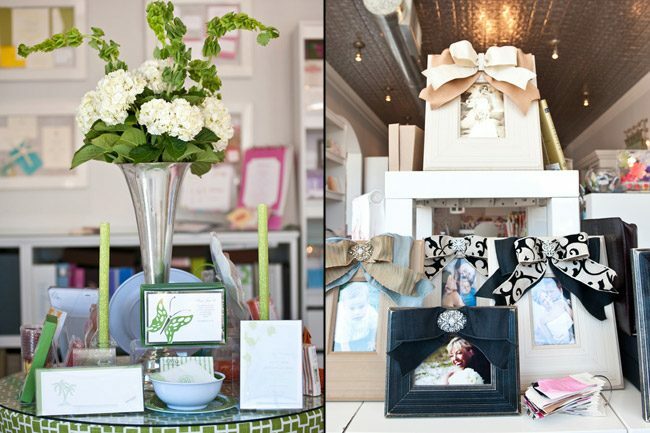 Most chose to go online for unique invitations despite the surging trend and movement toward “buying local”. We had been in love with Smock for a long time and knew it would be the first line we wanted to get for the shop. 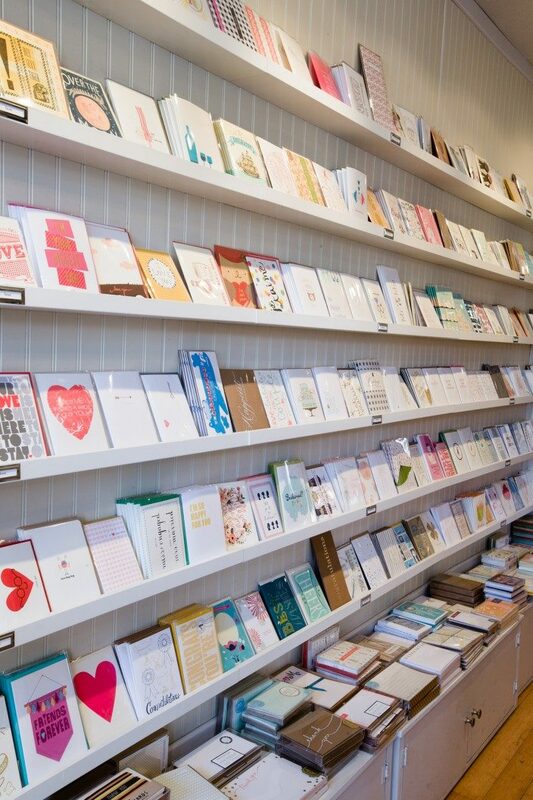 Stationery Love. My favorite part has to be discovering new lines, bringing them to town, then seeing people go crazy for them at the store, on Instagram, and on Facebook. 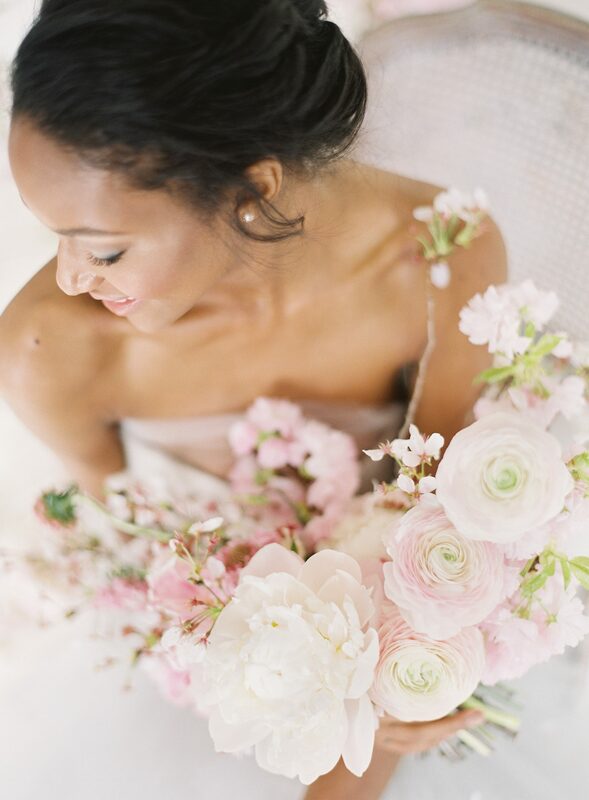 I also love helping people add unique, personal touches to their weddings and special occasions. I’ve always gone a little nuts with my own parties and this way I get to do it more often! The most challenging part is definitely trying to juggle the different roles of being a small business owner, art director for another company, mother, and wife. It gets a little crazy. Thankfully I have a great business partner in Brooke and an understanding, supportive family. 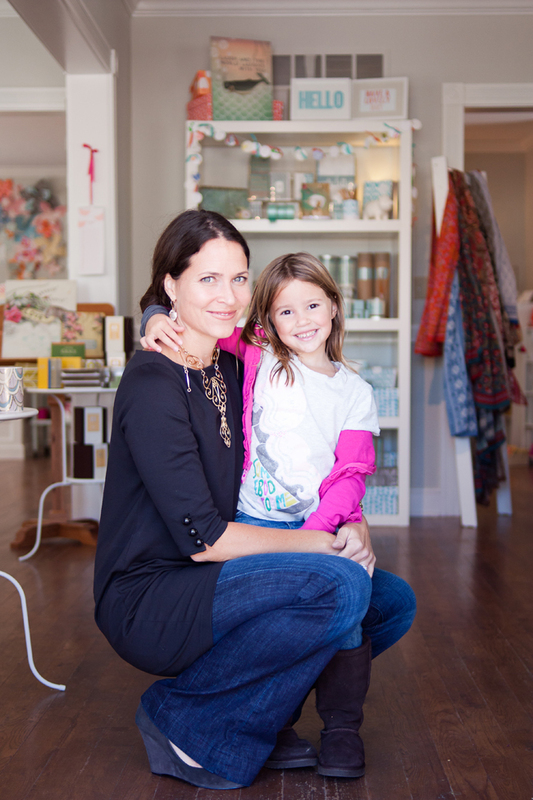 Supporting local + green businesses. We make an effort to carry as many green lines as possible; I would say they make up about 70% of the store. We also try to carry as many local and regional lines and artists as possible. In addition, we donate pretty regularly to various fundraising efforts in our area, through both design work and product. We’re also in the process of starting a monthly group focused on writing letters and cards to area residents going through rough times. 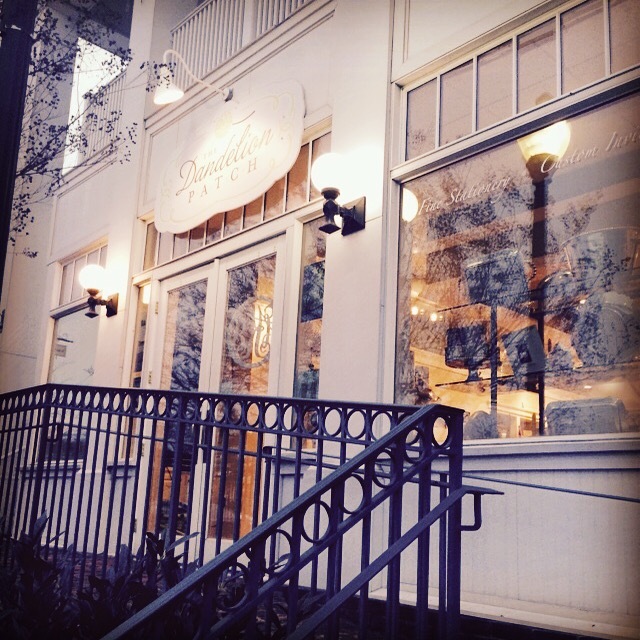 Must-see stops in Fayetteville, Arkansas. 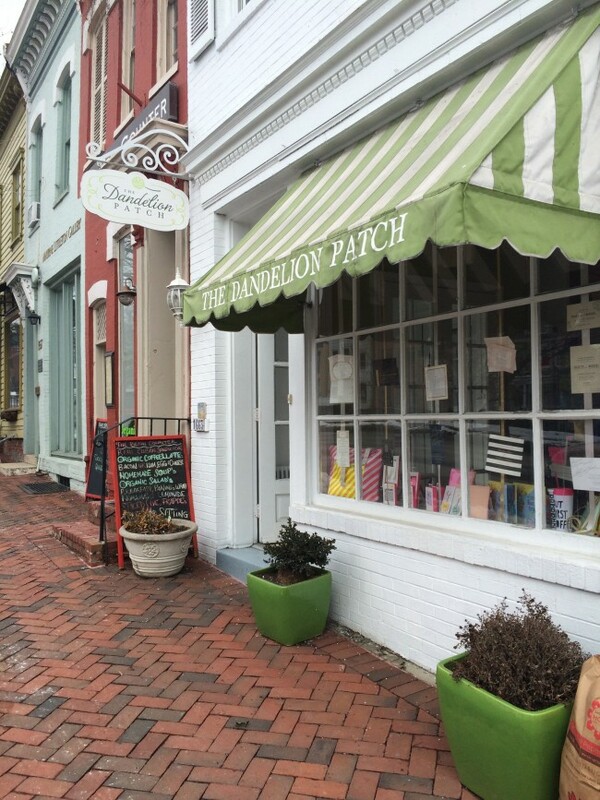 I love my town, and one reason is the locally-owned retail renaissance of recent years. 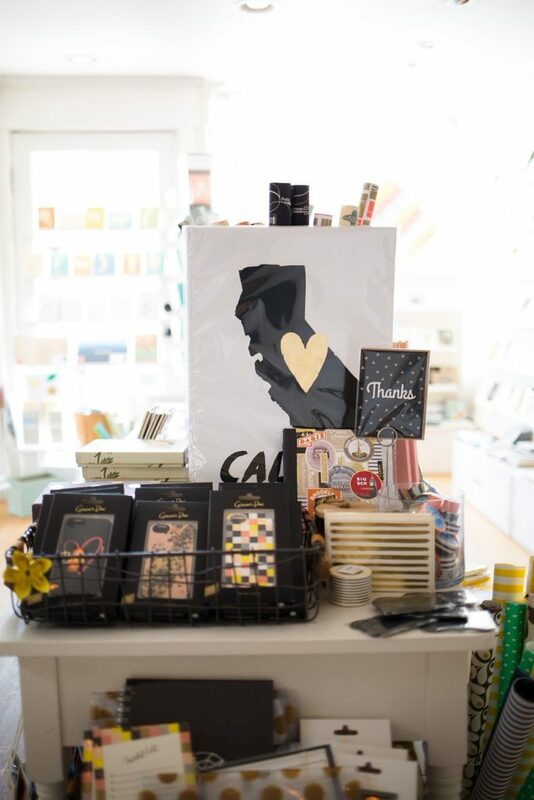 We have a great relationship with a lot of stores in our downtown neighborhood, and they truly are some of favorite places to shop: the Mustache, Savoir-Faire, Mae’s Heirloom’s, Riffraff and Good Things, just to name a few. If you happen to live near (or visit!) 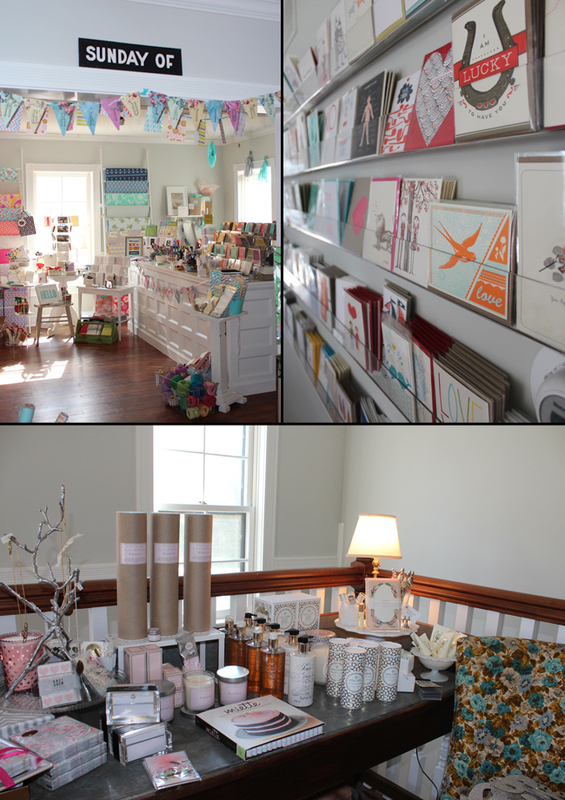 Fayetteville, be sure you stop in and explore Shindig Paperie. Thanks so much Trisha (and Brooke!) 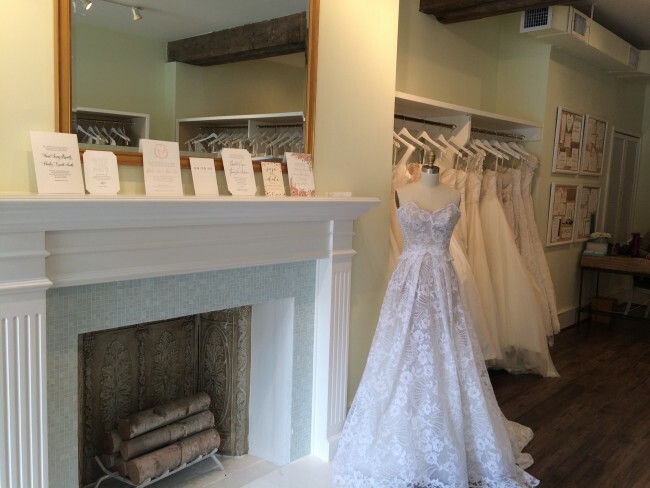 for letting us get a peek inside your beautiful shop! Smock + Urbanic present Summer Social 2012! 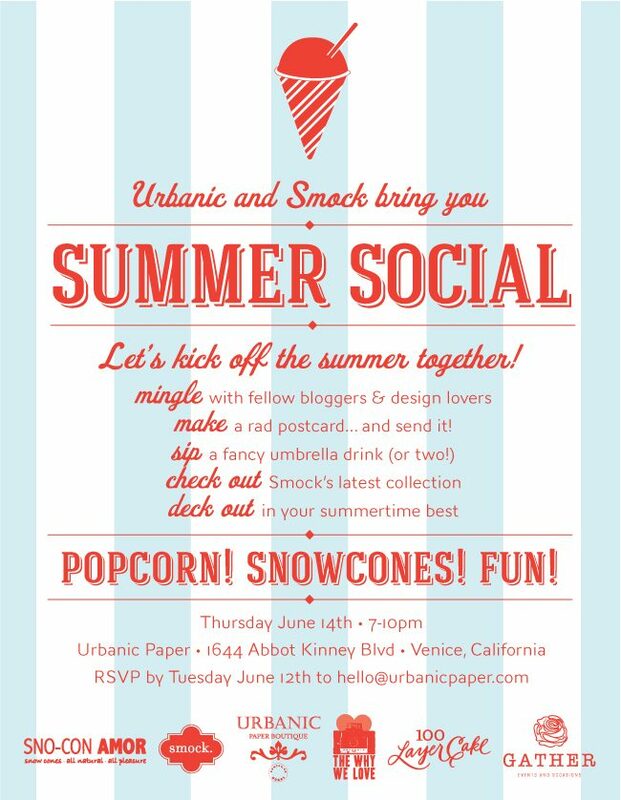 It’s time to kick off summer in style, so we’re teaming up with Urbanic Paper again this year for another fabulous Summer Social! We’ll be in Venice on Thursday, June 14th for a night of summer fun – join us to make a postcard (and send it!) and enjoy popcorn & snowcones. RSVP by June 12th to make sure you’re counted in for this year’s summer social – don’t wait, this is one shindig you don’t want to miss! We are always amazed at the gorgeous letterpress invitations we get to print for Smock retailer The Wedding Company, but it’s not very often that we get to see an actual event that they put on. 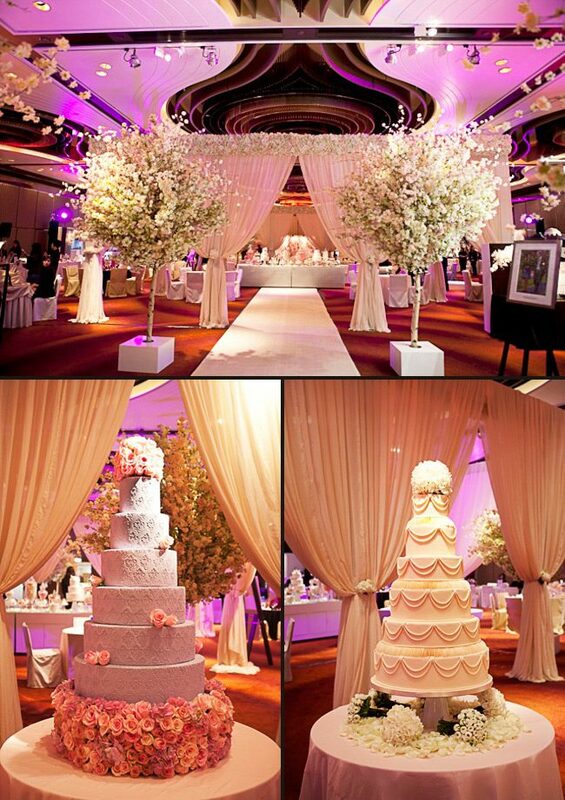 The Wedding Company is a full service wedding planning boutique based in Hong Kong, and recently they put on an incredible bridal showcase, complete with romantic décor, elaborate cakes, gorgeous tables and a sweet candy buffet. 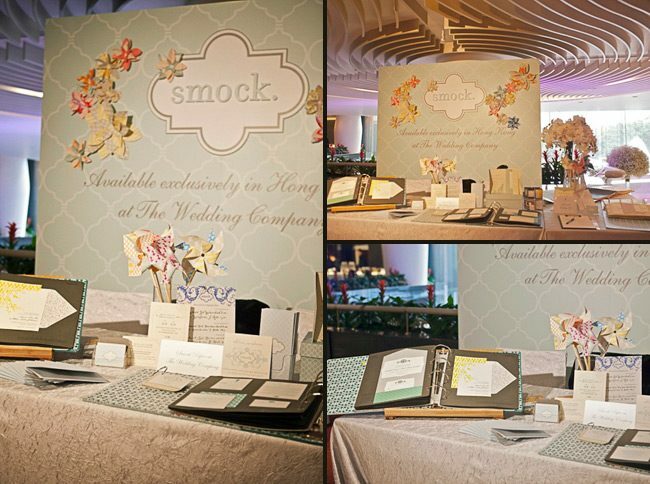 They even had time to put together an incredible Smock display, and created paper flowers and pinwheels with our double-sided, eco friendly gift wrap for the occasion! 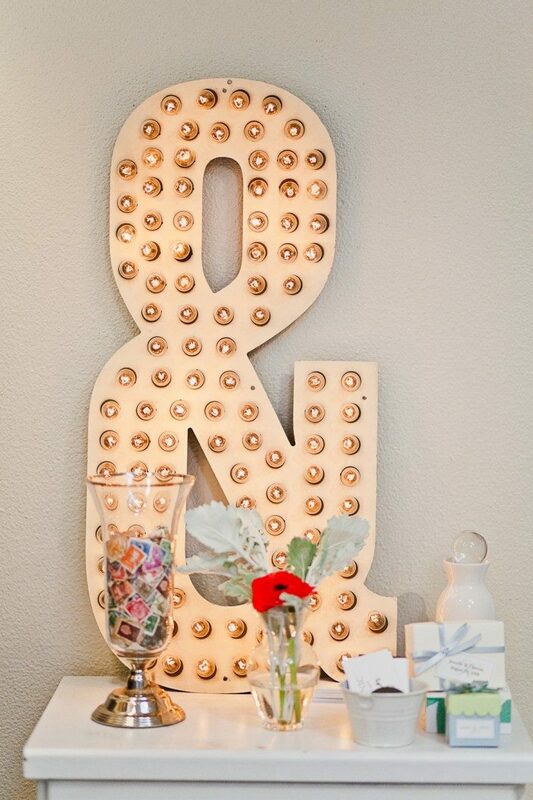 We were blown away by the end result — take a look! 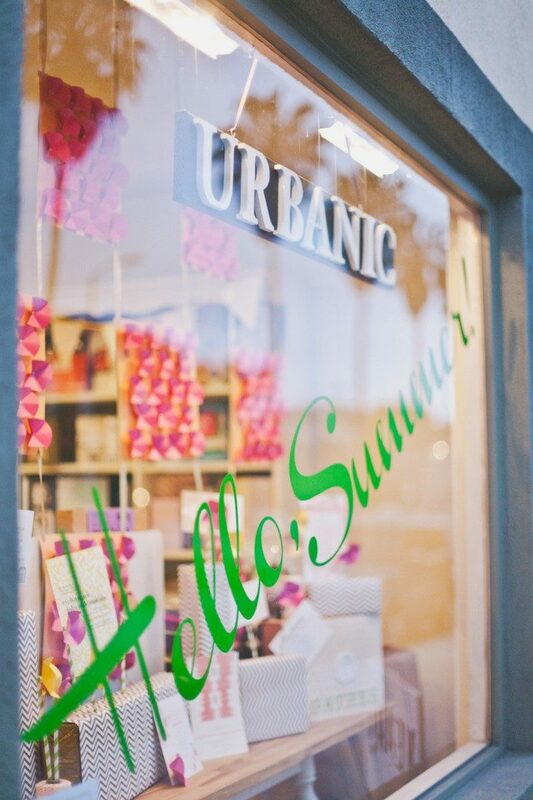 Today we’re highlighting Urban Coast, one of our fabulous Smock retailers! 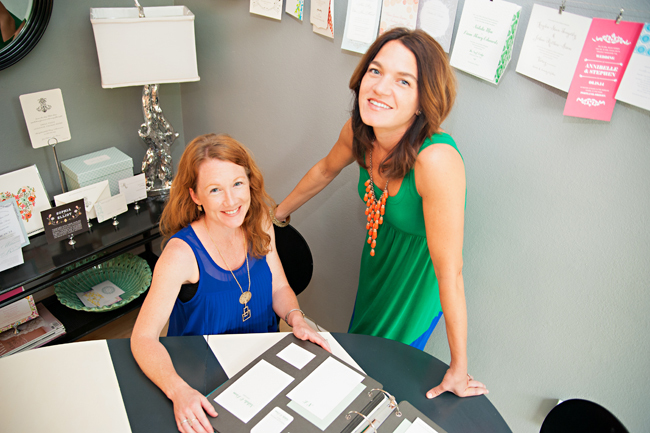 Based in Belleair Bluffs, Florida, Urban Coast specializes in custom letterpress wedding invitations and event design. 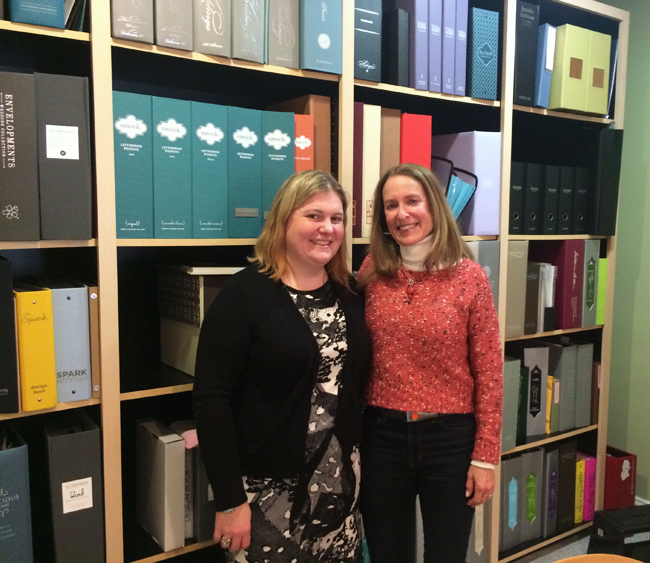 Owner Soosie Lazenby was kind enough to give us a behind the scenes scoop on this fabulous paperie. 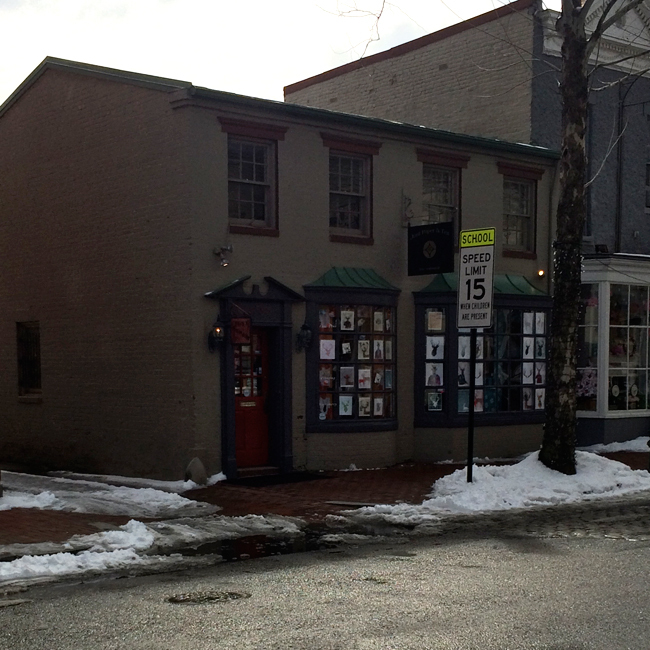 Tell us about yourself & the shop. What was the inspiration behind Urban Coast? I had a very blessed 20 year career in sports and entertainment marketing. I worked for companies such as IMG and Adidas, and served as the Sports Commissioner for the State of Massachusetts, an appointment by Governor Mitt Romney as the Chair of the Governor’s Committee on Physical Fitness and Sports, and then built my own company which I later sold. A geographical move made me ponder what was next. I decided to create a business that represented all the things I loved about my prior career and the challenges I faced in planning prestigious events. Thus, I founded URBANcoast: marrying the creative side of events and developing a model that provides a one stop shopping experience for clients. 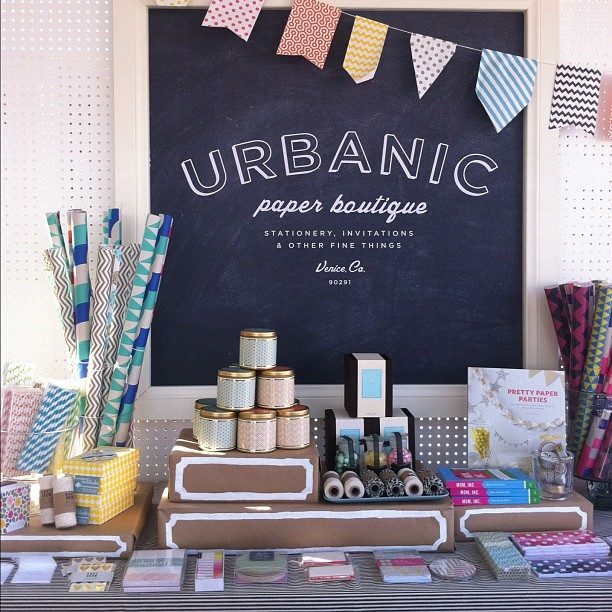 URBANcoast offers custom invitation designs, and represents the best in stationery, personalized gifts and accessories, and tabletop decor. 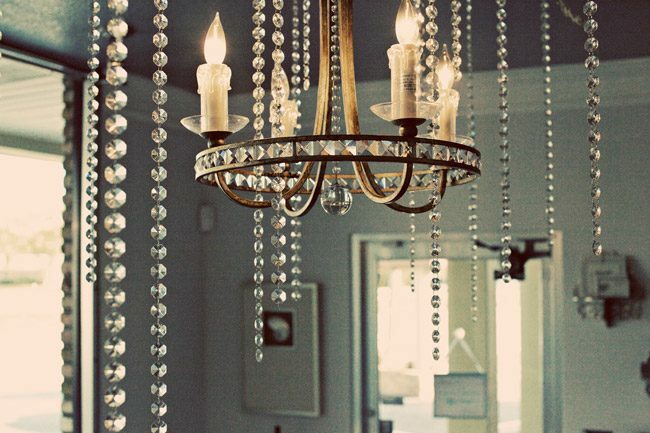 Designing a one-of-a-kind look for clients that conveys the style and experience of their event. I also love getting to know our clients – it is such a personal process that takes place over an extended period of time. It creates a special opportunity to form a bond that goes beyond their wedding and carries over into other momentous occasions in their life. Any predictions for 2012 weddings? What do you think will be popular this year? 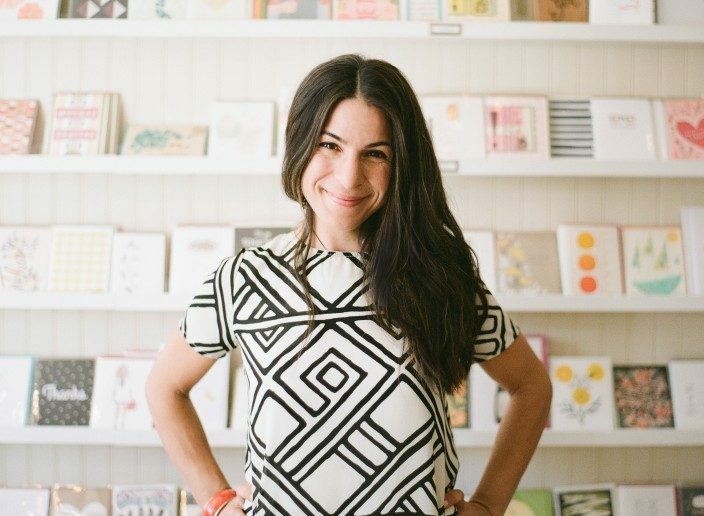 We are seeing a huge surge in letterpress. History always repeats itself. Additionally, fonts are taking center stage. 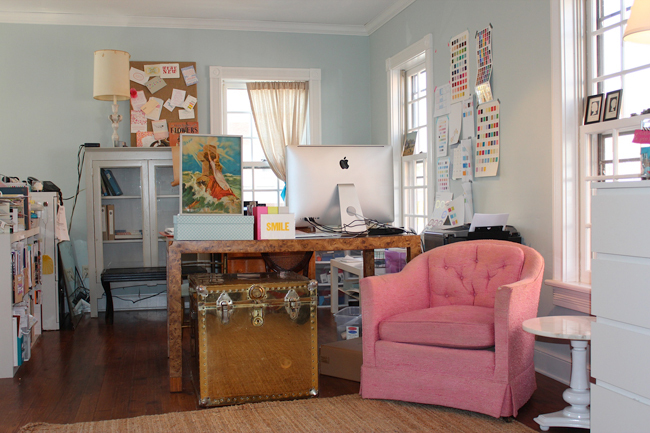 This is why Smock and Bella Figura [Smock’s sister company] do so well for us. 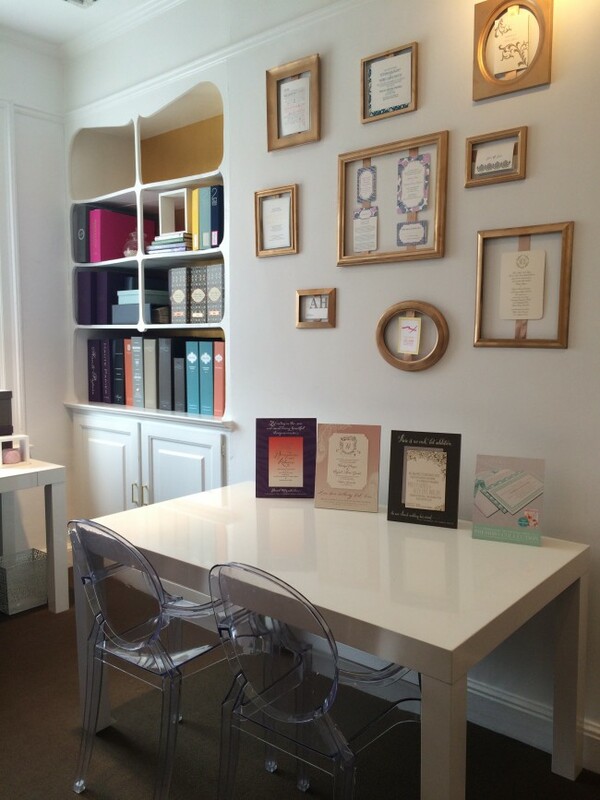 Having your design libraries allows our clients to create a unique look that represents their personality. What’s the hottest color palette out there right now? Taupe — this color somehow makes its way into a majority of our designs.